SWMinis and MyMinis - Minifig Collector: MyMinis updated with the new series from May 2014! MyMinis updated with the new series from May 2014! The new May 2014 update is here and has the new 16 minfigures. (This is the 13th series that has been released so far.) 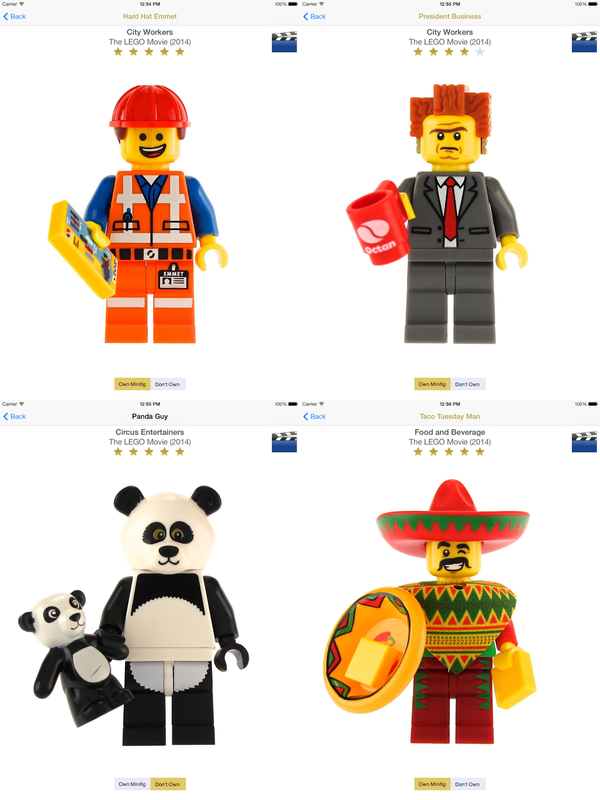 Get the app and you will be pleasantly surprised to these minifigs - you will instantly recognize them! The previous update in January (the 12th series) was for figures from The LEGO® Movie, just in time for its release in theaters! These figures are awesome, and I loved the movie. Here are some screenshots from the app. Of course the touch guide will help you find them too by touch, the best way to find them all! When is the next version coming with Series 12? Also, how about iCloud support for collections? Just purchased your app and it is awesome. 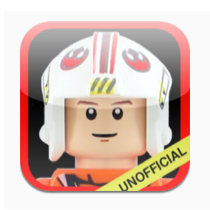 I have been looking an app to use to keep track of all the collectable mini figs. Just wondering if there is a way to note how many of each mini fig you own as I own more than one of each fig. Anyways thanks again for the great app! Would be great that on next updated with included Series 13 you could take a look at the order of the Series as most of them do not have the correct sort order as per collection leaflet. I.E. (Series 12, 11, 10, 9, 8, 7, 6, 4, 3, 2) The others are in the correct order (Simpsons, Movie, 5 and 1). Would be great if you could fix this sort order. Thanks for the wonderful app. Keep up the excellent work. Kind regards and Happy New Year!! Hi - series 12 was released (the 14th series so far). I want to keep it simple and just note if you have the figure or not. Let me fix the sort order in the next update if it isn't too big a deal to do. I can definitely do it for the upcoming series 13 at least. Not to bug any developers: I was just wondering if there is an upcoming update for Minifigures series 13. I have not checked or seen an update since series 12. (Not LEGO Movie) There is a blog, Bricks and Bloks, which posts stuff on upcoming LEGO sets, the blog owner posted the confirmed Simpsons Series 2 planned to be released in May 2015 and Series 14, planned to be released in around October 2015, which is monster-themed as the time of Halloween. Just to let ya know! Any news on the next version release date? Love the app! Wondering if we can expect minifigs from sets like Back to the Future and Ghostbusters to be available in the next update? Please please please update for series 13. Love this app. It's helped me collect almost the entire collection in one year!! When is the next update coming for both the collector and Star Wars figure apps ???? I am almost done with the MYMinis Series 13 update - It should be submitted tomorrow or Thursday for review. All the photos and metadata have been taken/entered and I am updating right now. I'll post screenshots when it is submitted for review. The update was just submitted today. Look for it in about a week. When will the update for Simpsons Series 2 come out? We need updated app! The app its amazing and better than others, but no updates since series 14. We have 17 ans lego batman movie ��, please hurry up or no more updates for this app! Are you giving up?